Taiwan President Tsai Ing-wen said during her inauguration speech on Friday that she will seek peaceful ties with China while resisting pressure from Beijing to acknowledge the idea that they are part of a single nation. Tsai said she would seek common ground with China and pledged to keep the peace as she was sworn in as the island’s first female leader at the head of an independence-leaning party. Tsai, whose Democratic Progressive Party also won control of the legislature, said that Taiwan and China need to cast off the burdens of history and seek a relationship based on peace and stability. Taiwan’s benchmark Taiex index rose 0.5 percent as of 1.15pm in Taipei trading. Beijing had been stepping up pressure on Tsai to openly endorse the “one-China” principle, the understanding that both sides belong to one China, even if they have different ideas about what that means. 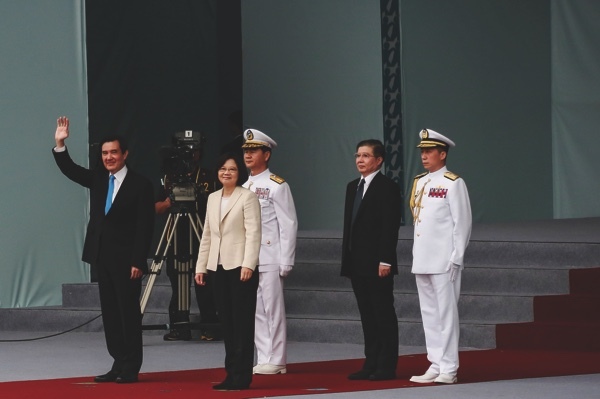 Tsai acknowledged the historic 1992 talks between the two sides, which she said should form the foundation for future ties with China.